I wanted to support smaller spacecraft in my Starfinder campaign and, luckily, Studio Bergstrom has a great selection of them at very reasonable prices. 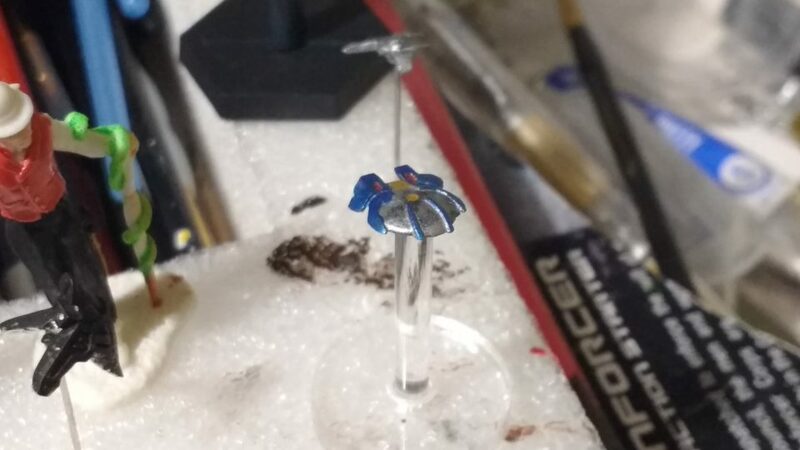 The Seth Fighter is a very tiny miniature but variety is the spice of life… Personally, I’d find it strange to run Starfinder without ships of this scale. You get an idea of how minuscule this miniature is in this comparison with a 25mm Heroic scale Reaper miniature but the sharp eyed will note an even smaller miniature hiding out in the background. At this size there’s not a lot to paint but the few details in this model stand out nicely.